With the help of a Czech friend, I was finally able to get our winter tires changed over to spring ones. Sadly, however, the weather didn’t seem to get the message that it’s actually spring. This morning as I walked with Titus to school it was 46 degrees fahrenheit! I realize it’s technically still spring, but it’s the end of May. 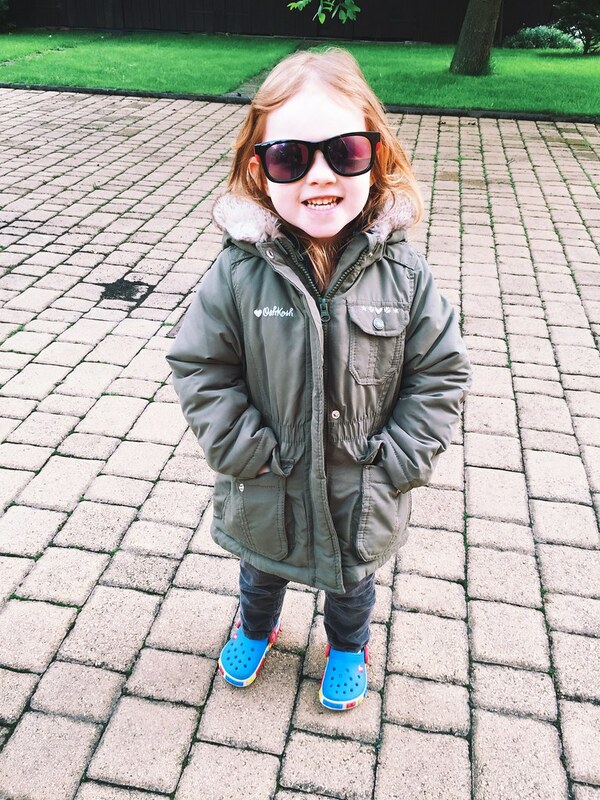 For this California native, wearing a jacket in May is like…actually, I have no comparison. I don’t know if I’ve ever worn a jacket in May. But I digress. With a jacket on, I gave my father-in-law a quick tour of the town this morning. I needed show him where the little grocery stores are and how to get around just in case this baby decides to come soon and they are in need of food. We’re hearing that when she does go into labor she’ll be in the Czech hospital for at least three days so we’re prepping Papa and Nana for life abroad with two little ones while we’re at the hospital. It was fun to quickly walk the town and see Bethany’s dad’s reaction to walking around a European city. I remember that feeling well and every now and then it bubbles up which is really fun. Another friend, Romi, came over today to help Bethany fill out all the paperwork for the hospital. Bethany said it was a lot more than she had thought and she was very thankful for Romi’s assistance. During Romi’s visit, I drove Papa, Nana, and the kids over to the local grocery story, again, to give them the lay of the land in case they need to go to a bigger store for anything. We needed some groceries anyway so it worked out. There was lots of new fun things at the store today, including a bunch of Kellogg’s brand cereals. I was actually shocked because normally the cereal aisle is pretty limited. Needless to say we bought a box of “Frosties” (aka: Frosted Flakes) just because we could. 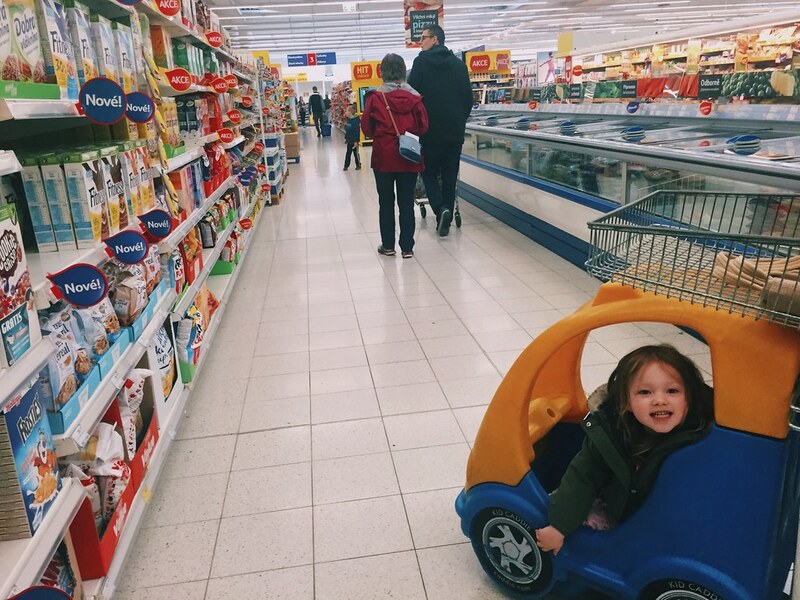 Here’s a photo of Avery in the cereal aisle in her little car cart (if you look closely you can see a box of “Frosties” in the bottom left). 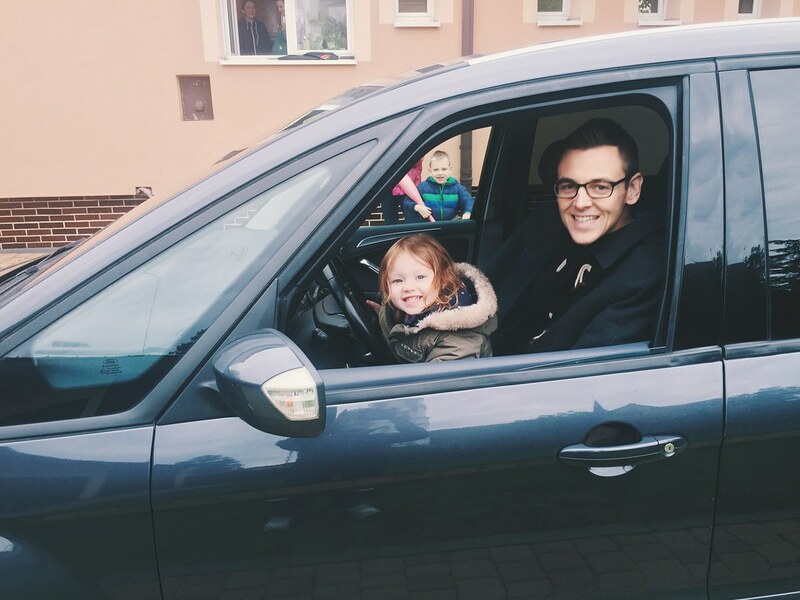 When we got home from the store Avery wanted to park the car like Titus did the other day, so I let get some time behind the wheel while Papa captured video. Avery is clearly not as aggressive as Titus, but I think I like her style. Here’s what he got. After the successful car parking, Titus had started a pickup game of baseball with Nana so Avery, Papa, and I joined in on the fun. Titus eventually let me bat and after hitting what I believe was a line drive over the third baseman’s head, he chased me down and tagged me out. Papa somehow captured a short video of that as well and here it is for your viewing pleasure. Finally we ate fast food tonight and went to a grocery store in Poland to find a baby bath sponge pad. We had tried different stores today but were unsuccessful and found one tonight in Poland which was a great. We got back kind of late so we quickly put the kids to bed and now I’m ready for the dream world as well. Good night!